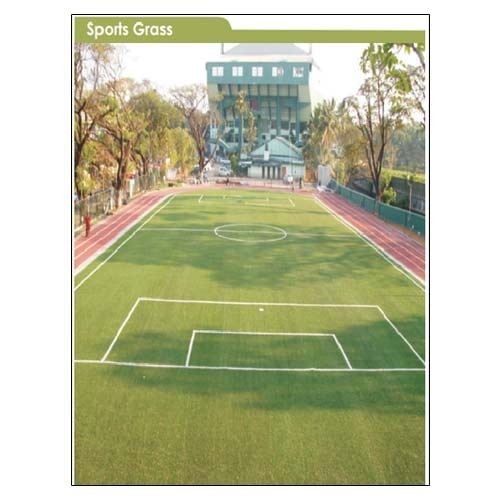 One of the advantages of as ynthetic grass pitch is the relatively low maintenance cost required to ensure superior performance of the pitch. Regular maintenance of the field guarantees a clean,permeable soccer pitch that maintains all the performances characteristic necessary for playing the game. Since 2004, Decor Inn is a name that reflects quality, beauty & luxury in inner part form for private, business and recreational spaces in India. We are well known Trader, Supplier, Distributor and Importer of Flooring, carpets and manymore. Flor-Tex is the well known brand of Decor Inn that makes accessible more than 200 products under one rppf in more than 20 product classifications ranging from Wooden Flooring, Floor Carpets, Carpet Tiles, Flocking Carpets, Cord Carpets, Vinyl Flooring, Vinyl Rolls, Wood Planks, Wood Tiles, Artificial Grass, Wood Blind, Decorative Wallpaper, Sports Flooring and many more. Decor Inn product services offerings also includes specific Made To Order and Customized Project Order services that are requested to fabricate, refurbish, enhance or experience anything that is called as a space; be it a home, office, recreational or retail/business space. Décor Inn has developed as an enviable reputation in the market from past 8 years in the field of fitting out extensive variety of products in different home, office, recreational or retail/business spaces specifically private properties like estates and homes, retails outlets, restaurants, bars, pubs & dance club and lodgings. What's more we have fitted out numerous work places, air terminal parlors, and high road business spaces.